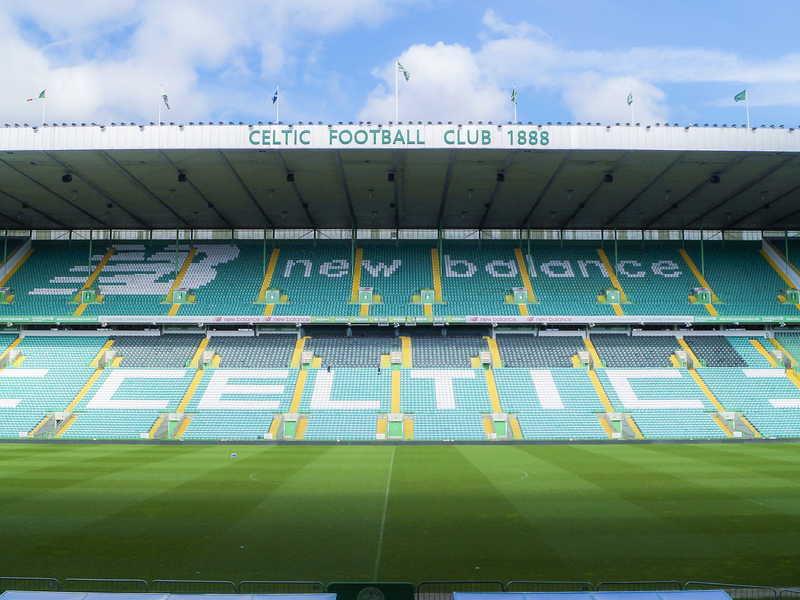 Celtic Football Club in Glasgow boasts Scotland’s largest football stadium and some of its most ardent fans. 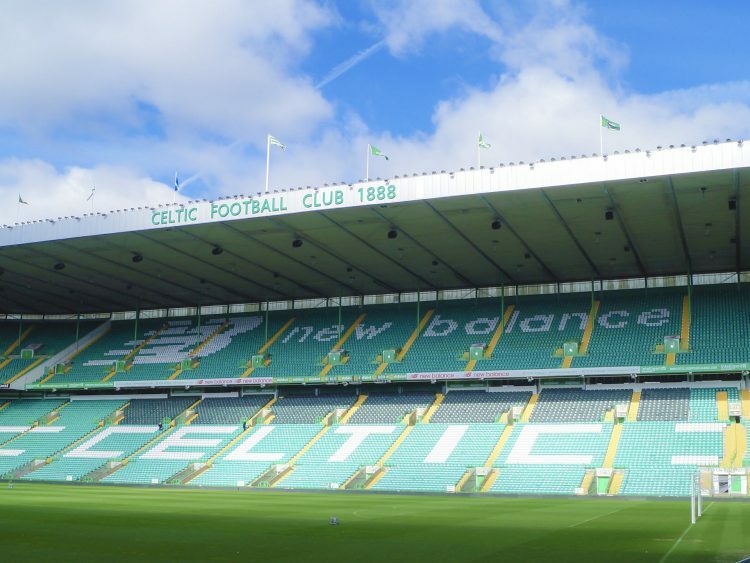 When the club took on the task of upgrading the stadium experience, it engaged PEL Services Limited, an electronics engineering firm based in Northolt, northwest London, to design and install upgrades to the public address and emergency sound systems in 60,000-seat Celtic Park. 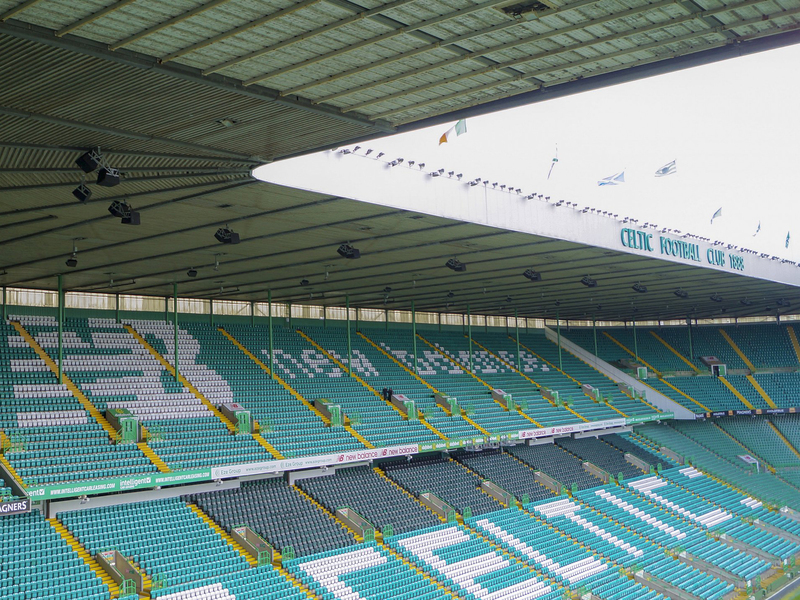 With a strong stadium-wide IT network and existing public address infrastructure already in place, PEL advised the selection of Bosch Praesideo digital Public Address and Emergency Sound System with Electro-Voice pro audio loudspeakers to improve coverage, clarity and fidelity within the main bowl area of the stadium. Because both systems can be interfaced to the Dante networking standard, both the Bosch Praesideo system and all Electro-Voice loudspeakers are monitored and controlled remotely via Electro-Voice N8000 NetMax digital matrix controllers. The first phase of the operation was the installation of the Bosch Praesideo public address and emergency sound system in the internal portions of the stadium, including concourses, turnstiles, restrooms, and offices. Its open architecture and high level of redundancy makes Praesideo a scalable, reliable solution that exceeds safety standards while offering complete communications flexibility. 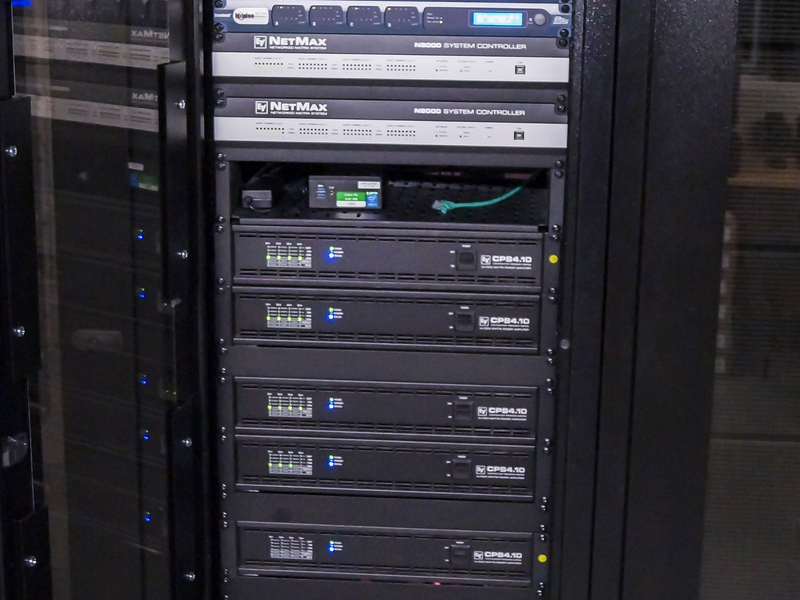 The stadium system is based on dual Praesideo network controllers with an audio expander interface and six strategically placed call stations. The 100V audio system utilises legacy installed loudspeakers, all of which were tested and upgraded with Bosch line supervision sets. This enables Praesideo to check all speakers for proper line operation. The system is powered by 22 Bosch power amplifiers with onboard DSP modules. PEL engaged Acoustics Plus, an independent acoustic consultant based in Croydon, to advise on proper deployment of the Electro-Voice loudspeakers. Research included recording SPL levels throughout a game, documenting the sonic requirements and using computer modeling to map optimal locations and dispersion patterns for full coverage. Aimed down from beneath the roof, the system uses a mix of frontloaded EVF-1152D and horn-loaded EVH-1152D, both full-range, weatherised loudspeakers from the EV-Innovation family. As part of the process, Electro-Voice CPS series power amplifiers, two N8000 NetMax DSP matrix units, and a redundant fiber ring were installed as infrastructure support for the full stadium system. 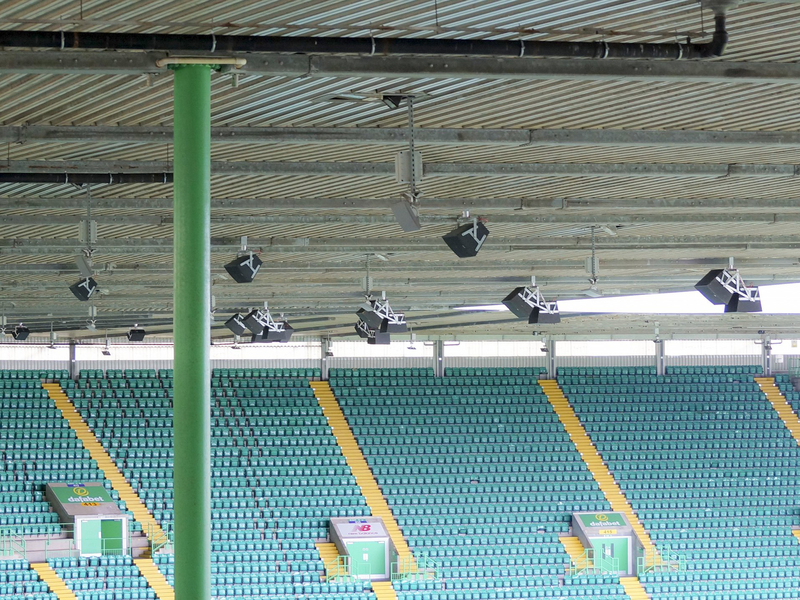 To date, the new loudspeakers are in place above the north stands and adjacent corner areas. Future phases will complete the installation above the south stands, adjacent corner areas, and west and east stands behind the goals.